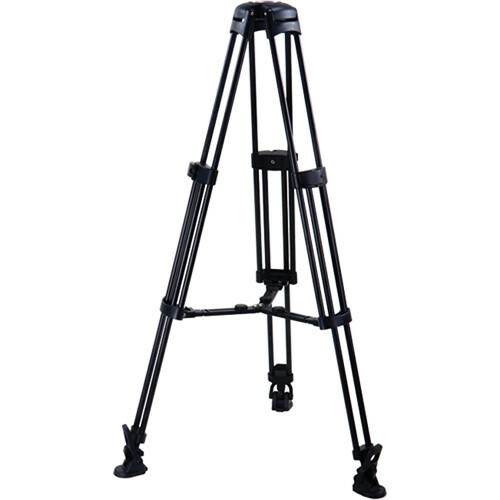 Height - 32.2" to 56.3"
The Acebil T750M Tripod System includes the T750 Aluminum Tripod, the MS-3 Mid-level Spreader, and the RF-3 Rubber Foot. Capable of supporting up to 88 lb (40 kg), the T750M provides an optimum tripod system solution. A single stage selection with a 75mm base weighs 7.5 lb (3.4 kg) and can be adjusted to offer a height ranging from 32.2" to 56.3". Enhanced tripod stability is provided via the MS-3 Mid-level Spreader that holds the tripod legs in position. The RF-3 Rubber Foot enhancements help protect indoor surfaces from tripod feet abrasions. Offers single stage selection with a 75mm base that weighs 7.5 lb (3.4 kg) and can be adjusted to offer a height ranging from 32.2" to 56.3"